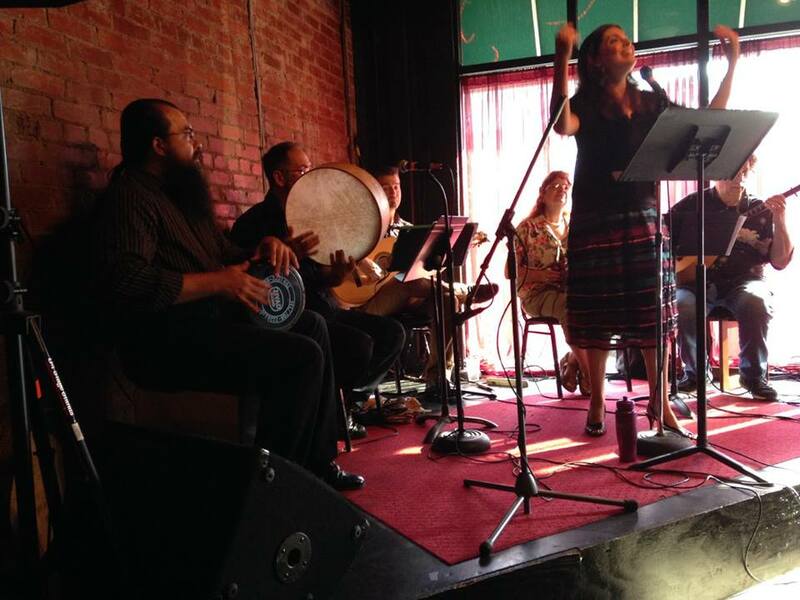 Performing with Transito, a Louisville based Ladino music ensemble. This is a subsite of my Research website and will be dedicated solely to music of the Arabic, Ottoman, Byzantine, and Persian Empire and regions associated with those empires. I’ve been building databases and compiling lists for various parts of the music theory, repertoire, styles for years now and will now start migrating all that info to this site. I’ve also been blogging fairly regularly about my thoughts and reflections about music from this region for years at my main blog, Mae Mai, and have populated this site with reblogs/crossposted entries to this site. Drumming with the musicians at the opening ceremony of the Ahiska Turks Community Center of Kentucky. 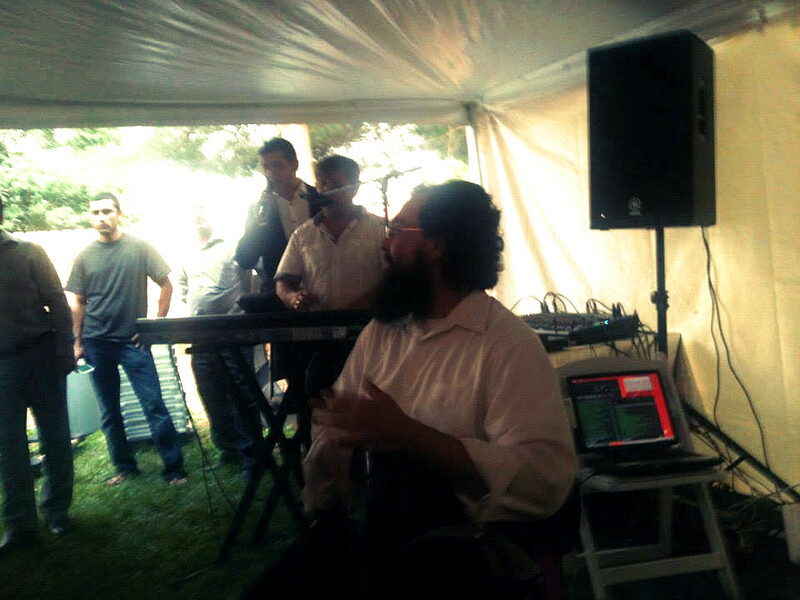 I’ve also had the wonderful opportunity to perform, share bills, or study with artists that perform music from these regions: George Wakim, Dena El Saffar, Salaam, Donna Barbrick Carlton, Hussam Al Aydi, Raquy Danziger, Amel Tafsout, Mousa Alradwan Jr, Jeremiah M. Soto, Karim Nagi, Carmine Guida, Victor Santoros, Nevik, August Hoerr, Steve Popernack, Jennifer Laemmer, Mark Cheater, Andy Smith, Adam Riviere, and many others. The dancers I’ve collaborated with over the years and the other bands playing music from these regions I’ve shared bills with would take a whole dissertation to list as they are legion. But each and every artist, dancer, musician, educator, and scholar I’ve worked with during my journey of learning music of the greater Near East have each contributed to my understanding and appreciation of the music, dance, and culture from the rich and wonderful cultures from this part of the world. 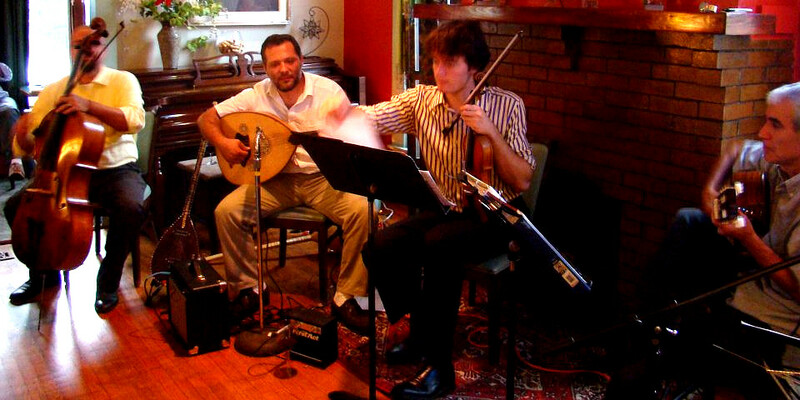 A list of Near Eastern Music I've arranged for various groups and student performers over the years. Over the years I've given a number of workshops and presentations in various aspects of Middle Eastern and Near Eastern Music throughout the Midwest at Universities, Festivals, and Bellydance events.